Do your students have difficulty grasping the complex processes associated with photosynthesis? 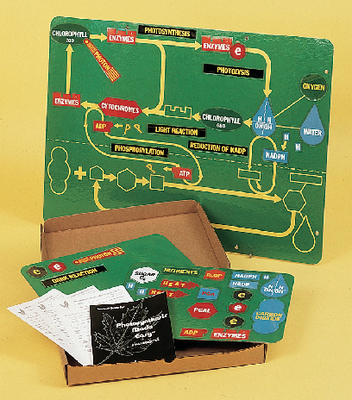 This jumbo board game takes your students through four complete lessons, covering 17 different topics related to photosynthesis. The 40 unique plastic pieces stick to the 76 cm x 102 cm game board.